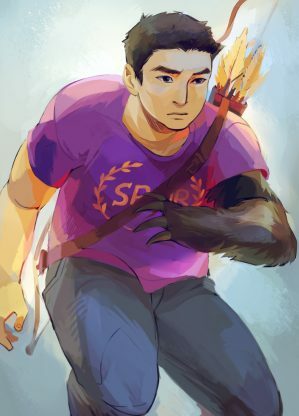 Frank Zhang (also known as Fai Zhang by Grandma Zhang) is a Roman demigod of Camp Jupiter and one of the main protagonists in The Heroes of Olympus series. He is the son of Mars and Emily Zhang, as well as a legacy of Poseidon. Frank is one of the seven demigods mentioned in the Prophecy of Seven. If I’m going to burn, it might as well be bright.